Most of our products are Certified European (CE) as we source for the best in quality; Your Smile of Satisfaction is our Sustainable Safety Solutions Satisfaction. Acquilla Solutions Limited is Africa’s number one Quality, Safety, Health and Environmental Advisory and Safe solutions provider globally for business success. 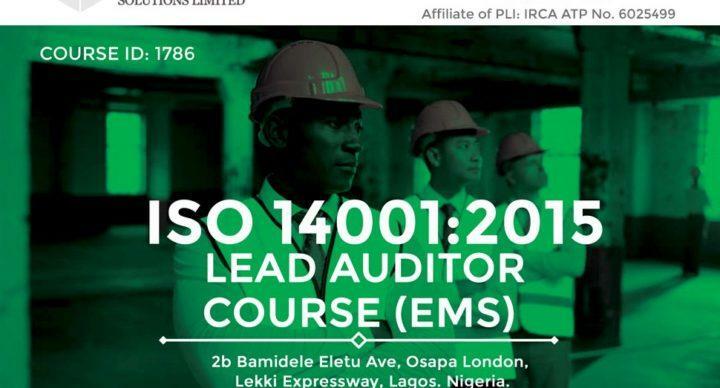 ISO 14001 Lead Auditor course is designed for anyone who wishes to audit an organization’s ISO 14001:2015 Environmental Management System. Anyone who desires an in-depth understanding of the ISO 14001:2015 Audit Process.